The US National Security Agency (NSA) bulk collection of mobile phone metadata - revealed by whistleblower Edward Snowden in 2013 - has been ruled unlawful by a US federal appeal court. The metadata collection programme was authorised by President George W. Bush under Section 215 of the Patriot Act after the attack on the World Trade Center in New York in 2001. 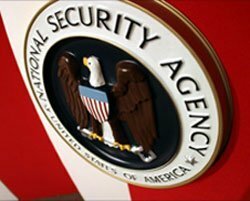 The landmark decision overturns a 2013 ruling that the surveillance could not be subject to judicial review and opens the NSA to further legal challenges. The 2nd US Circuit Court of Appeals in New York found that the collection of billions of metadata records a day, including location data, exceeds provisions of the Patriot Act. However, the court did not call for an immediate halt to the collection of US phone metadata, but urged Congress to make a decision on Section 215 that is set to expire on 1 June. The programme has to be re-authorised every three months by the Foreign Intelligence Surveillance Court (FISC). The circuit court said the outcome of debate in Congress over the re-authorisation of the controversial section 215 of the Patriot Act “may (or may not) profoundly alter the legal landscape". Members of Congress are set to vote next week on a bill, the USA Freedom Act, that would end the NSA's collection of bulk data, reports the BBC. “We hold that the text of section 215 cannot bear the weight the government asks us to assign to it, and that it does not authorise the telephone metadata programme,” the judgement said. The court said a “monumental shift” in the approach to combating terrorism required a clearer signal from Congress than a “recycling of oft-used language”. “We conclude that to allow the government to collect phone records only because they may become relevant to a possible authorised investigation in the future fails even the permissive ‘relevance’ test. We agree with appellants that the government’s argument is ‘irreconcilable with the statute’s plain text’,” the judges said. The White House has declined to comment on the ruling, but US president Barack Obama has previously called for an alternative to the programme and reforms of surveillance legislation. But the decision is the most important ruling by a federal court so far concerning disclosures made by Snowden, according to international cybersecurity expert David Fidler, professor of law and fellow in the Center for Applied Cybersecurity Research at the Indiana University Maurer School of Law. “The holding that Section 215 of the Patriot Act did not authorise the bulk telephone metadata programme has great political significance as Congress struggles with whether to re-authorise Section 215 by June 1,” he said. Fidler believes that both supporters of the bulk telephone metadata programme and its opponents will seize on the ruling in arguments to Congress. “Proponents will want to use the ruling to make sure that Congress adopts legislation to authorise this type of surveillance capability in some fashion. Opponents will point to the ruling in arguing against including any authorisation for such a programme in legislation,” he said. Fidler said that because the court did not rule on the constitutional question of whether the metadata programme violates the Fourth Amendment, the controversy will continue as Congress debates what to do next. “Whether this case reaches the Supreme Court will depend on what exactly Congress does in the next few weeks with Section 215,” he said.